It is critical athletes remain hydrated during their exertions; this also applies to cyclists. After testing various bottles and consulting customer reviews from REI and Amazon, we’ve compiled the following list of the best insulated and non-insulated water bottles for cyclists. All of our choices are BPA-free and come in various colors. 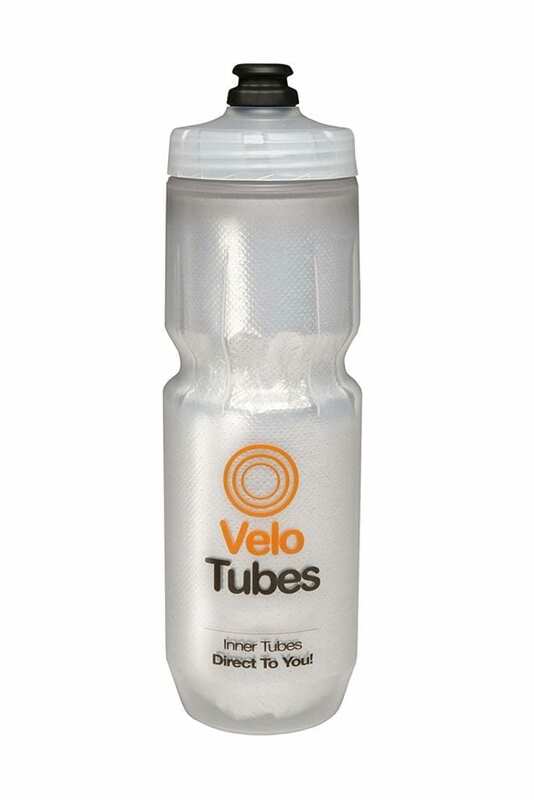 These bottles are all appropriate for road bikes, downhill bikes or mountain bikes. The CamelBak Podium Ice Insulated Water Bottle is the best water bottle for bikers. It has very high ratings with tons of great reviews on both Amazon and REI. It claims to keep water cold four times as long as regular sport bottles. It’s lightweight, easy to squeeze, and has a wide-mouth opening that makes it easy to add ice cubes. 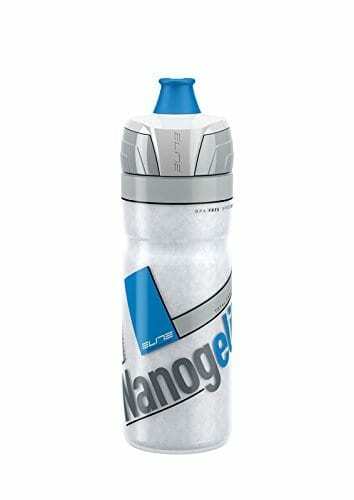 The Elite Nanogelite Thermal Bicycle Water Bottle hasn’t gotten a lot of attention, but we think it deserves some. It’s a squeezable thermal bottle insulated with Nanogel, which Elite claims is the best and lightest solid insulating material in the world. Elite claims that this bottle maintains temperatures for up to 4 hours with cold liquid. The CamelBak Podium Big Chill Insulated Water Bottle is a good choice relative to the Podium Ice if you’re willing to trade some insulating ability for four more ounces. CamelBak claims that the Podium Big Chill will keep your water cold only twice as long as an non-insulated bottle. If you’re wondering how to clean your CamelBak water bottles, check out this video by CamelBak. The Specialized Velotubes Purist Insulated Bottle is probably one of the more popular insulated water bottles currently available to cyclists. We just added to our list during the Christmas season of 2018 and it has outstanding ratings to date. It’s a squeeze bottle with a MoFlo cap for maximum water flow. The silicone layer prevents odor, taste, and stains and also makes cleaning simple and easy. If you don’t need an insulated bottle for your bike rides and you’re a fan of the Specialized brand, the Specialized Zipp is a fantastic option. Where to begin? My love affair with Hydro Flask began nearly 10 years ago when I found an abandoned Hydroflask bottle on a soccer field near the Hydroflask HQ in Bend, Oregon. I still use my 10-year old dented, red narrow neck Hydroflask regularly along with 6 other Hydroflasks. Hydro Flasks are powder coated with Tempshield insulation, they fit perfectly in your palm and they keep your ice (or hot chocolate) at the right temperature for a full day. Hydro Flask is also a stand up company who provides phenomenal customer service. The 26 oz Yeti Rambler is one well designed bottle. Yeti is known for the quality of its coolers, but the high ratings, elegant design and off-the charts aesthetics of this steel insulated bottle put it in a class of its own. In many ways, this bottle reminds me of the early Hydro Flask cap design with its threaded finger-grip design. 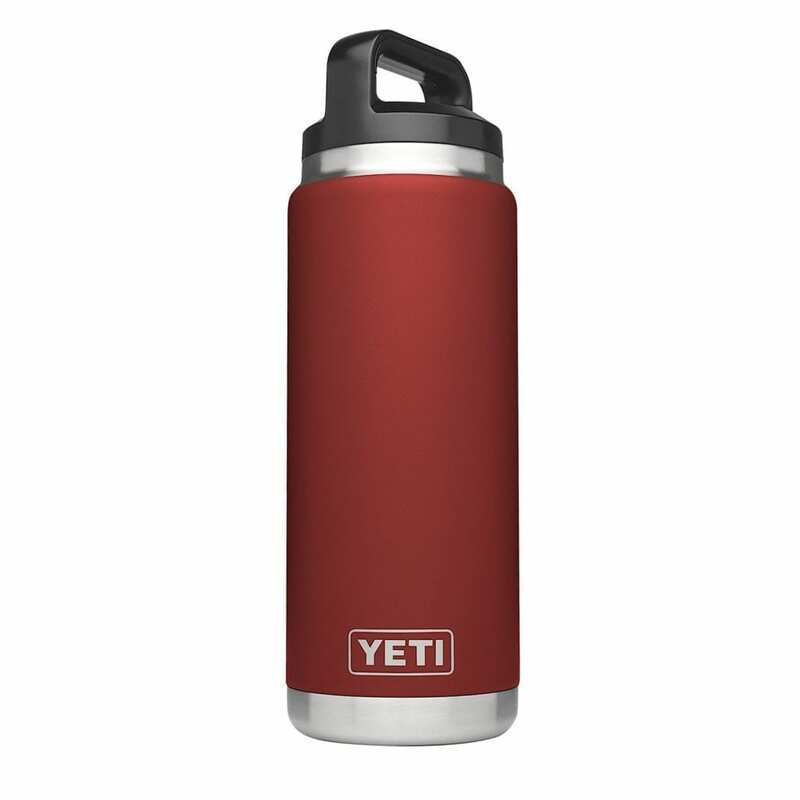 Yeti refers to this design as a “Triplehaul Cap” and I can only say I wish Hydro Flask stuck with their finger-grip caps. Add the double-wall vacuum insulation and 18/8 stainless steel construction and you might as well start planning your trip now into the Mojave Dessert with this modern marvel on the top of your packing list. Do keep in mind it’s a little bigger than a 21 oz bottle, so you may want to review the dimensions before you make your purchase. Tips: Like Hydro Flasks, don’t use these if there’s a chance you’ll misplace it. It’s hard to find a better sale on water bottles that at REI. You’ll typically find more than 30+ water bottles on sale for 30% or more. Over Thanksgiving (November 21-25), you should visit Hydro Flask where you get 25% off their products–along with free shipping. 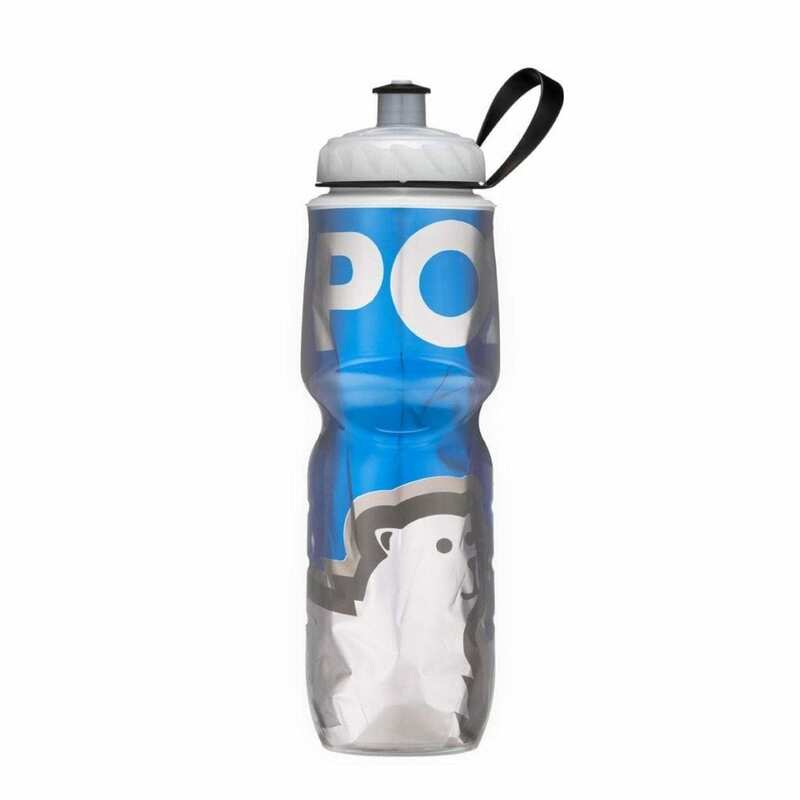 We hope you found a water bottle that’s suitable for you and your cycling adventures. As we approach 2019, we’ll take our favorite 2018 bicycle water bottles and update it with any new options for bike water bottles that emerge in 2019 and 2020. And, is there a right way to drink water while on your bicycle? Check out the following video for 9 different ways to use your water bottle while on a bicycle. If you’re planning on taking your bottles on a car camping trip, check out our top 20 recommendations for car camping gear or our car bike rack review. The best selling bottle cage for bicycles can be purchased on Amazon. If you’re committed to having cold water at the end of your bicycle outing, you may want to consider purchasing a Hydro Flask and tucking it into a backpack. If you’re planning a longer trip in a really warm area, consider using an insulated water bladder in a hiking backpack. And if you’re going to travel somewhere with extreme weather, you should review New England Gear Guide’s 10 Best Water Bottles for Extreme Weather post or check out this list of water bottles for biking and backpacking. If you’re going deep into the backcountry or visiting a third-world country (or university dorm), you should consider an integrated filtered water bottle. We often use several different options for our own trips, which has additional benefits from time to time. In one case, when downhill biking at the Grand Targhee in Wyoming last summer, I landed on my back after getting air on a series of jumps. Although I broke my shoulder, my Hydroflask absorbed some of the blow as it sat neatly in the outside pouch of my venerable Deuter 20 backpack. So. one never knows just how a water bottle (or backpack) will come in handy! 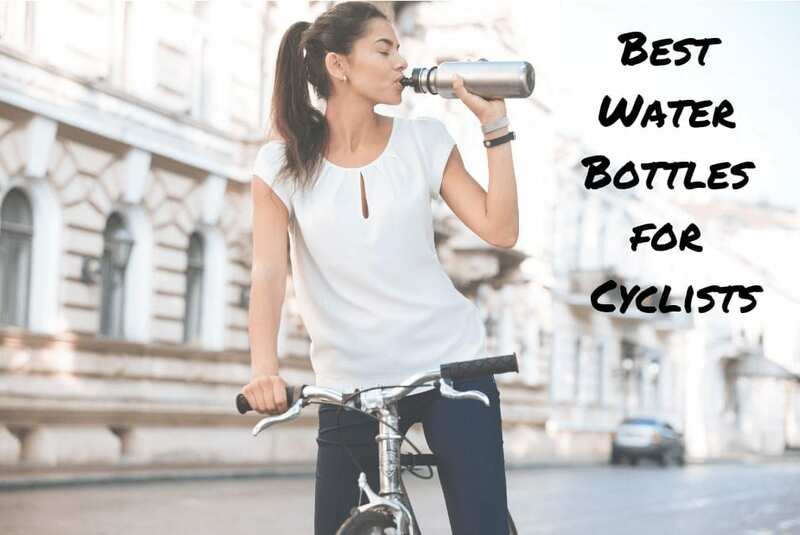 After you’ve decided on your water bottle (or bladder), you may want to purchase some helpful bike accessories such as a bike bottle holder, bike bottle opener, wide mouth bottle holder or even a personalized water bottle. Whatever you choose, stay cool and enjoy the ride!